Our 3rd Annual National Seed Swap Day will be held on Saturday, January 26th from 9:00 AM – 12:00 Noon. 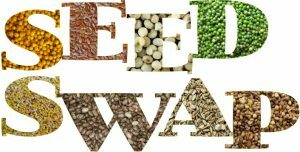 Bring your labeled seeds from this past fall to share with others, and see what new varieties are waiting for your green thumb. 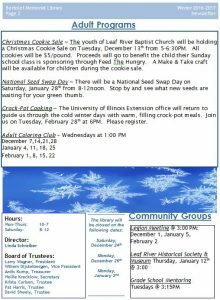 A Master Gardener from the University of Illinois Extension Office will be on hand to answer any questions to help your garden succeed. 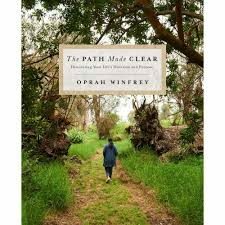 This workshop will help you lead with gratitude and become an extension of a home that you honor and respect. 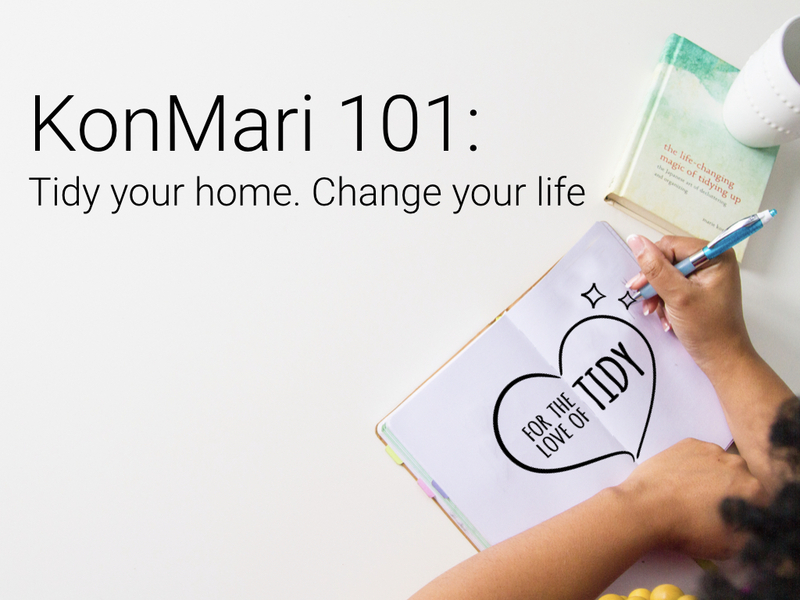 It includes an overview of KonMari fundamentals and practical decluttering tips that fall under five signature KonMari categories: Clothing, Books, Paper, Miscellaneous items, and Sentimental items. 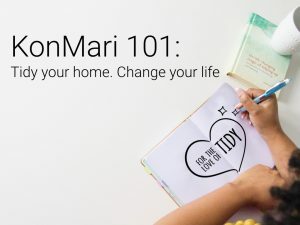 Enjoy a live demonstration of the signature KonMari Folding technique. We’ll also discuss common myths and missteps as we address how to overcome your specific clutter challenges and barriers to success and true abundance. Registration required for this free event by calling 815-738-2742 by September 25th. 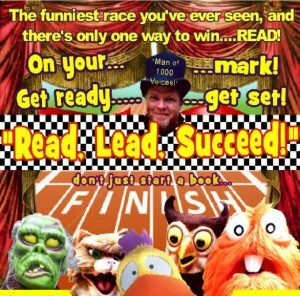 eRead Illinois will be down Saturday, May 19 & Sunday, May 20. We apologize for any inconvenience this causes. YOU DID IT!!!! You helped us hit our goal of 500 pounds in plastic to recycle into this garden bench. We can’t wait to see the end result. We are so thankful for your participation in this project! Since we have met our mark, we no longer will be collecting plastic at this time. Thank you so much!!! Did you know you can pay your fines and fees online? From the comfort of your home? In your PJs? Well, you can! Tab on over to Internet Resources and click on PrairieCat. Once you have logged in, you can select the Fines/Fees you want to pay and follow the online prompts. Easy, quick, and convenient…PrairieCat will securely apply your payment. Cross an easy task off your to-do list today! 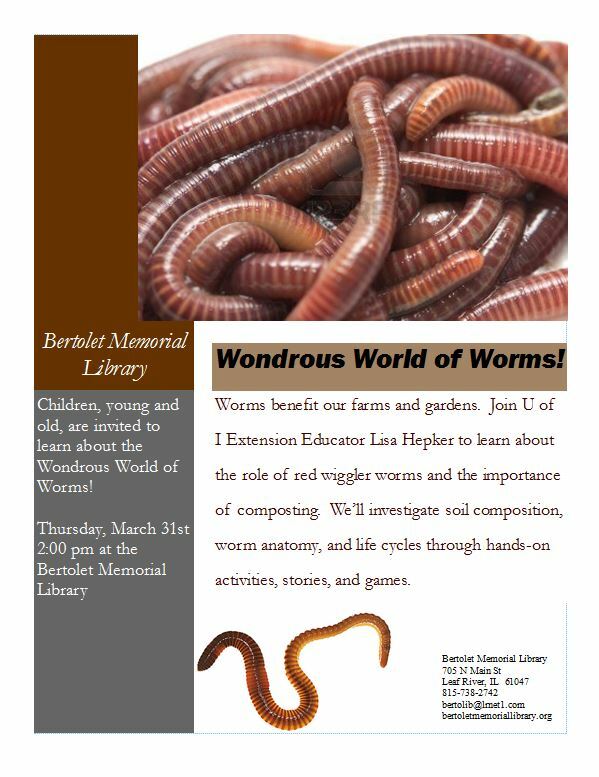 Join us on Wednesday, April 5th, at Bertolet Memorial Library! 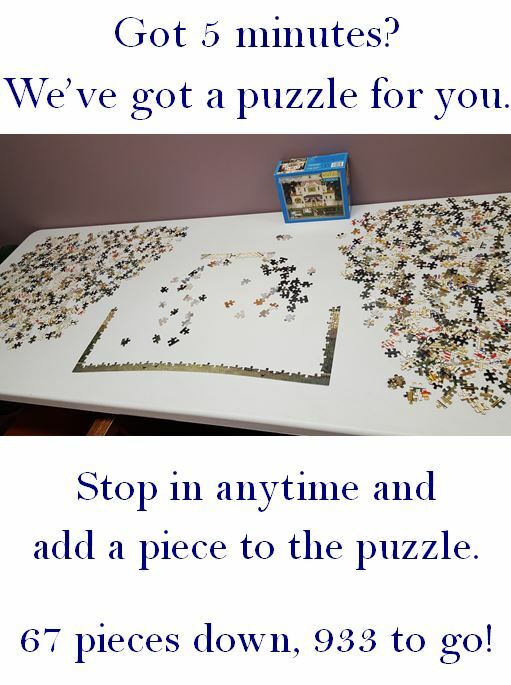 A big thank you to Dawn Spengler for nominating Bertolet Memorial Library in the Lovin’ My Library contest! 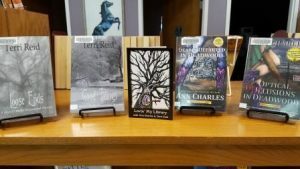 We have received 2 books by Ann Charles and 2 books by Freeport native Terri Reid. They are ready to be enjoyed! 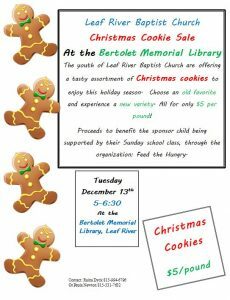 Christmas Cookie Sale ~ YUM! Don’t forget to register for the Cooking for 1 or 2 class. 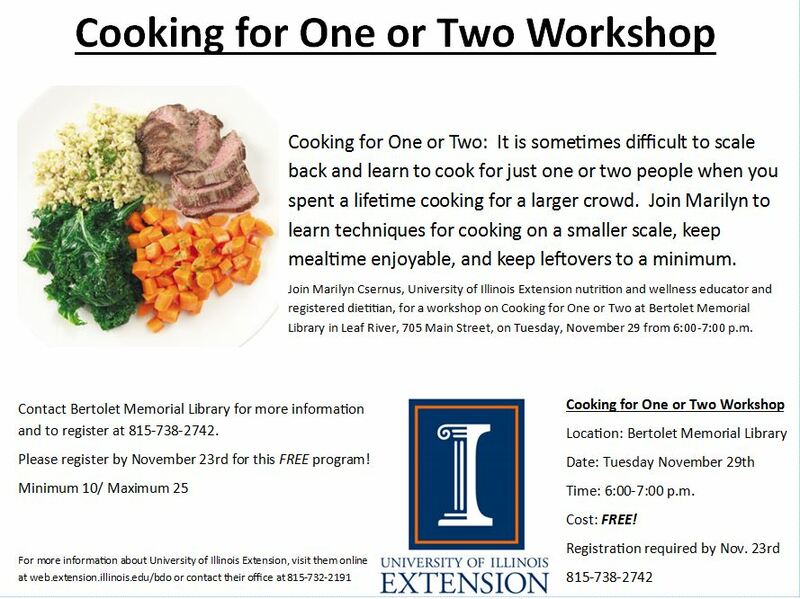 This program on Tuesday, November 29th is presented by the University of Illinois Extension office and will guide you through changing your meal planning and preparation for your smaller household. Registration ends Wednesday, November 23rd. Help us find Dory!! She will be so thankful! Join us on Tuesday, November 22nd at 6pm as we make our way into the Thanksgiving holiday. Family Movie Night will find us watching Finding Dory and feasting on popcorn! See you there! 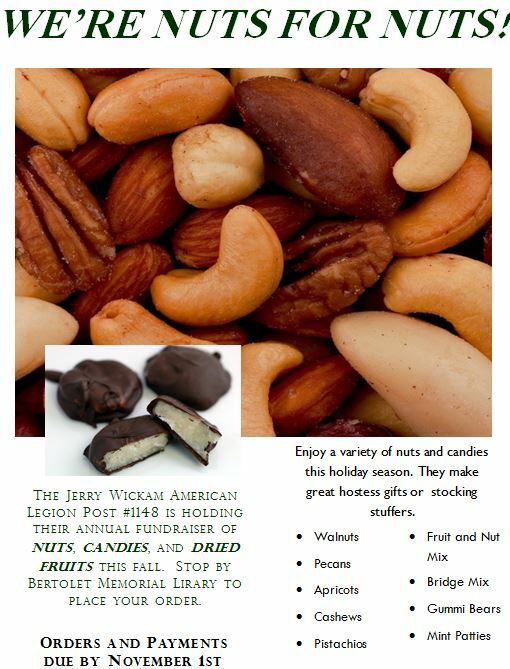 Fill Granny’s Mailbag with cards and letters for our Troops! 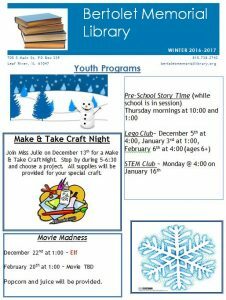 Cards and Letters must be brought in to the Library by Saturday, December 10th. Granny is also collecting new wrapped or unwrapped toys for boys and girls through ages birth through 18 years. Tags will be available to label your gift with boy/girl and age appropriate. Toys will be collected through December 16th. 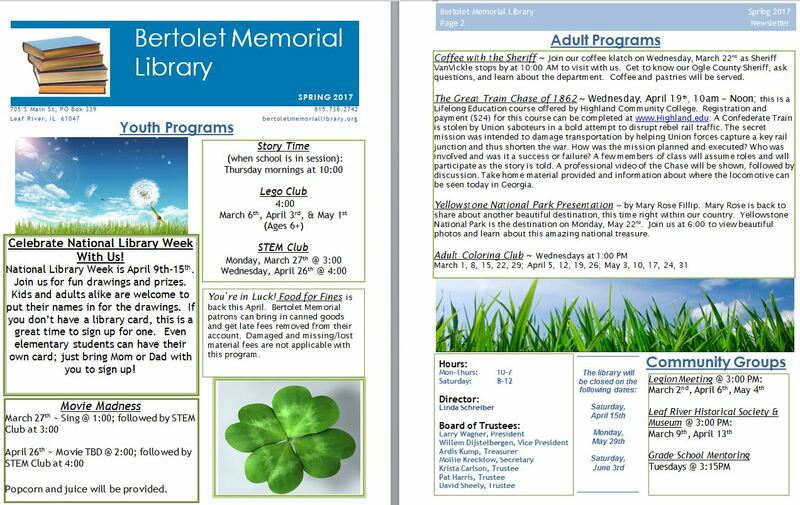 See what is happening this fall at Bertolet Memorial Library! Come learn how these little cute fur-friends are raised and trained to assist the blind in their everyday activities. 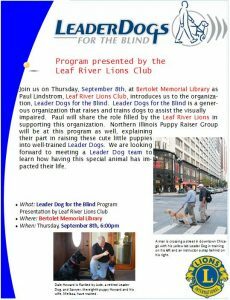 The Northern Illinois Puppy Raiser Group will be on hand to share their tips and techniques. 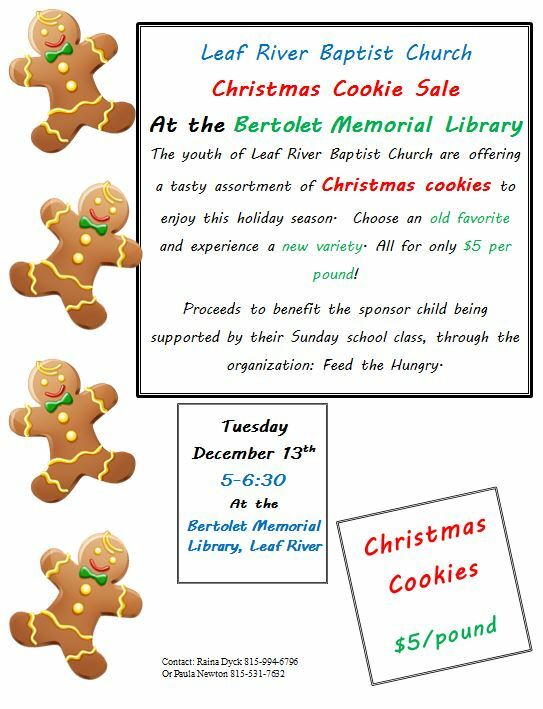 This amazing group is supported by another amazing group, our local Leaf River Lions Club! 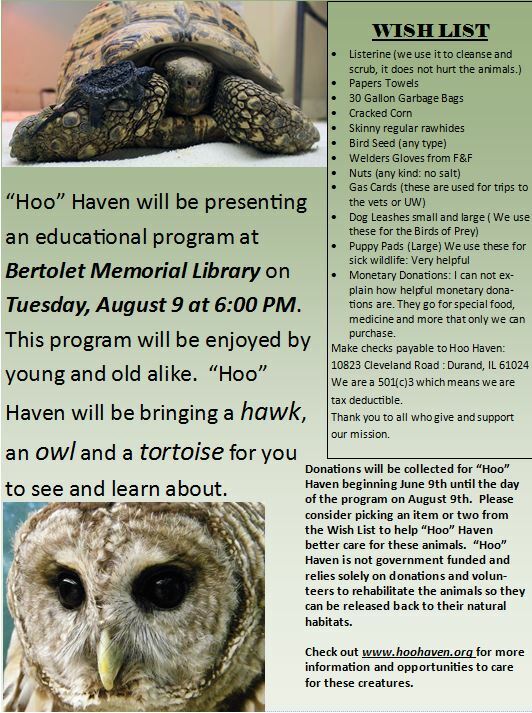 Come jump start your learning on August 9th when “Hoo” Haven will be sharing and showing us their hawk, owl, and tortoise as we find out more about their habits and habitats! 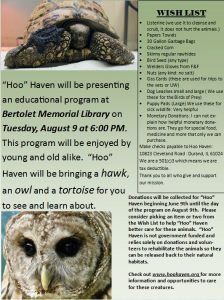 Come on over August 9th at 6:00 PM! 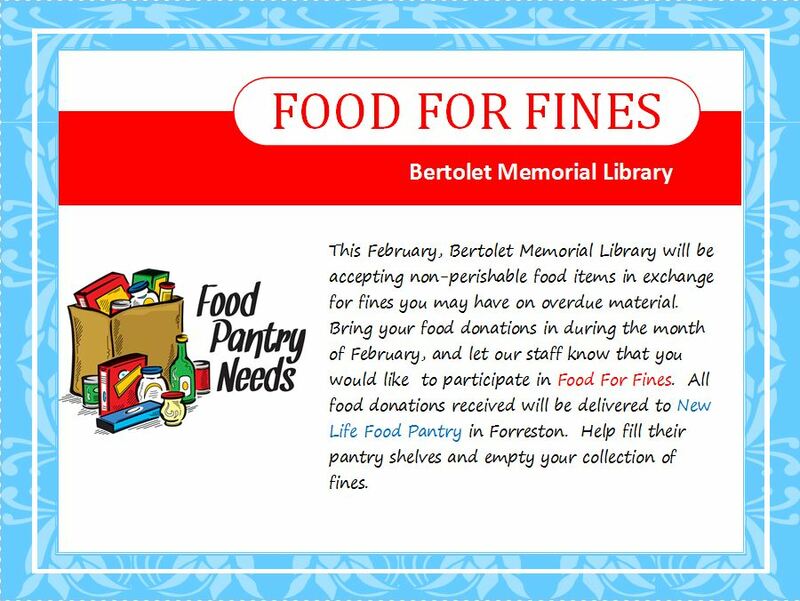 Look for the box and wish list gift tags at Bertolet Memorial Library beginning June 6th! Family Movie Night returns with the newly released “Zootopia”! 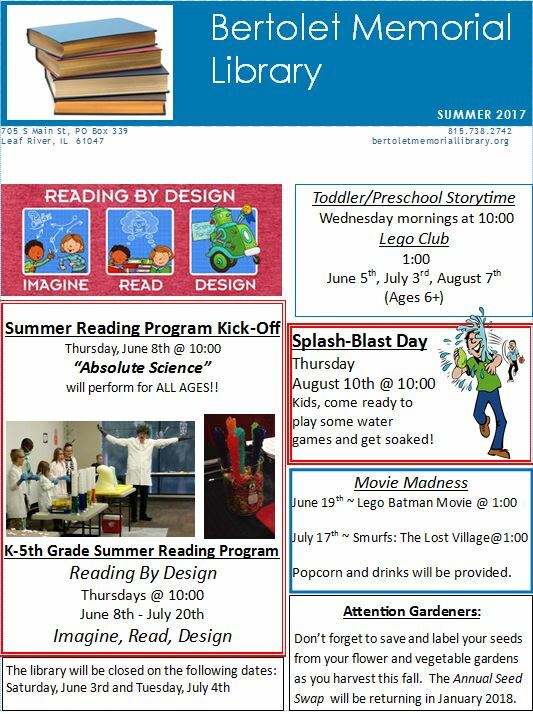 Join us at Bertolet Memorial Library on Monday, August 8th at 6:00 PM to watch this hilarious adventure as Officer Judy Hopps, the first bunny on Zootopia’s police force, jumps at the chance to crack her first case even if it means partnering with scam-artist fox Nick Wilde to solve the mystery. 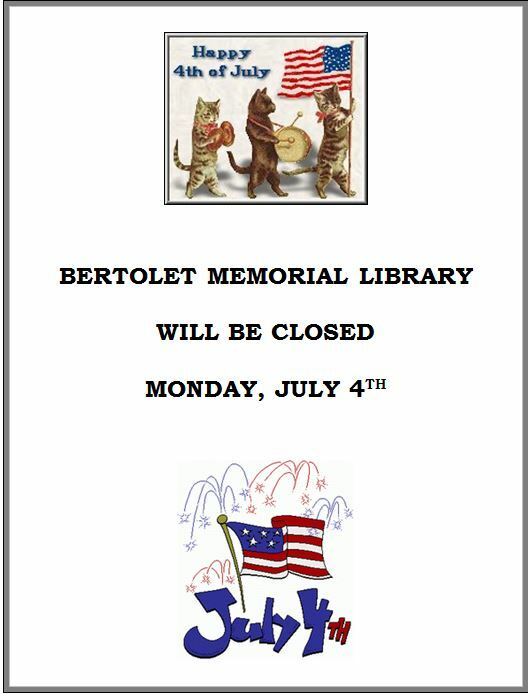 In observance of Independence Day, Bertolet Memorial Library will be closed on Monday, July 4th. 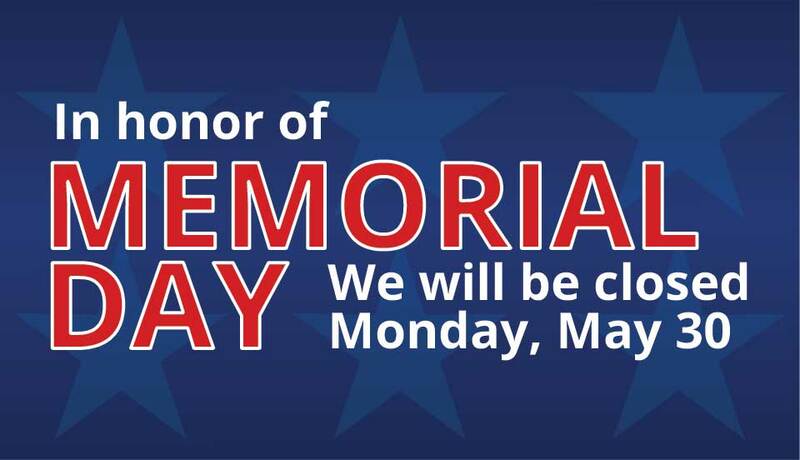 We will re-open on Tuesday at 10:00 AM. Did this past weekend leave you feeling a bit too hot? Come think cool thoughts and learn about the country of Iceland, where the average high temperature in June is only 55 degrees! 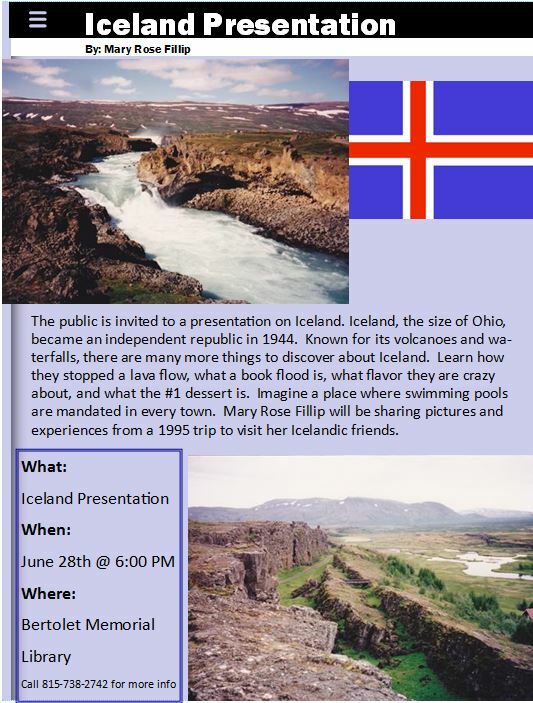 Beautiful pictures and interesting facts will fill the presentation by former Leaf River resident, Mary Rose Fillip on Tuesday June 28th at 6:00 PM. 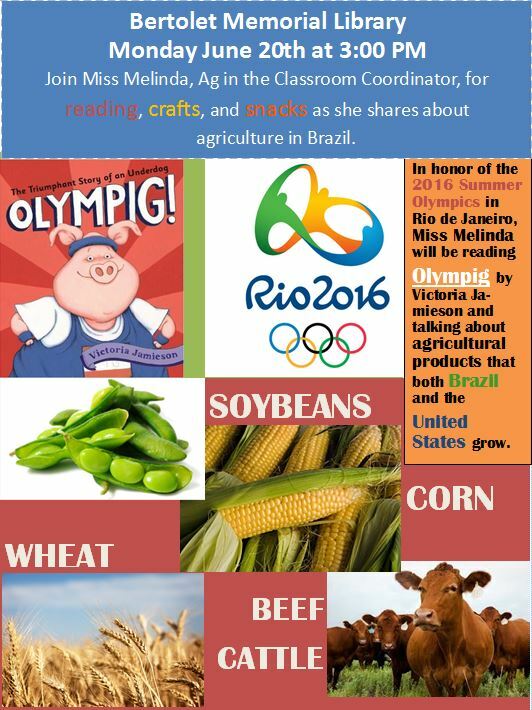 On Monday, June 20th, Miss Melinda will be reading Olympig and talking about similarities in agriculture between the United States and Brazil. 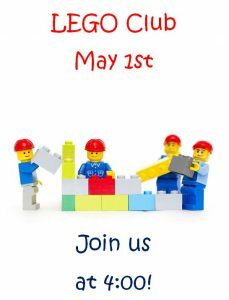 Join us at 3:00 on June 20th! 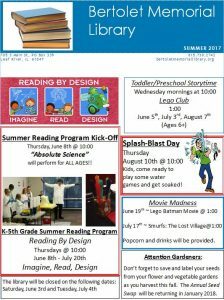 The Summer Reading Program is almost here! 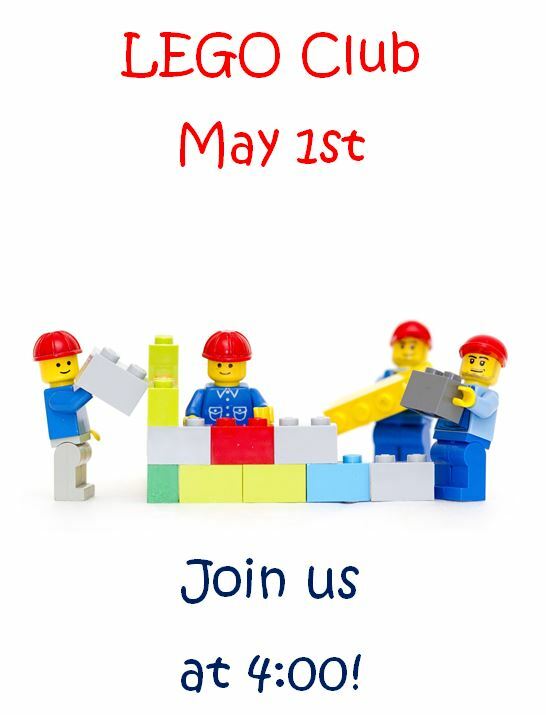 Mark your calendar for this Thursday to come help kick-off the summer. Chris McBrien is returning to Bertolet Memorial Library for our opening program at 10AM! We hope to see you there!! Well join us at Bertolet Memorial Library on Monday June 6th to enjoy the beach via the movie “Soul Surfer.” There may not be beach umbrellas or pinã coladas, but there will be popcorn and sodas. See you at 6pm! Enjoy the festival this weekend. 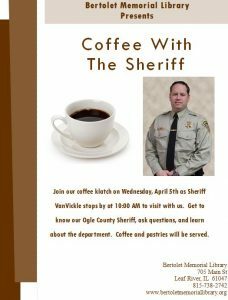 See you at the library on Monday! 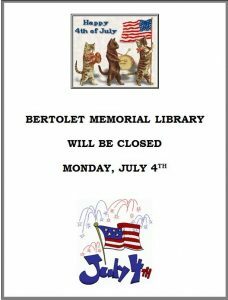 The Bertolet Memorial Library will be closed on Monday, May 30th in observance of Memorial Day. 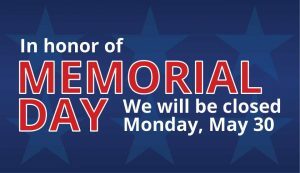 We will re-open normal business hours, 10-7, on Tuesday, May 31st. Join us at Bertolet Memorial Library on Monday, May 23rd at 2:00 to see a bear who just loves his pic-a-nic baskets. 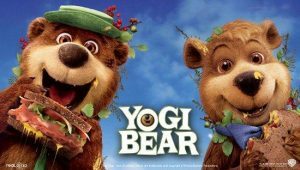 Camping, fireworks, and of course, picnics: Yogi Bear is the perfect kick-off movie to summer break. Check out the online PrairieCat Kids’ Library! 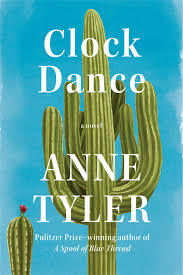 Looking for a book for your research project? 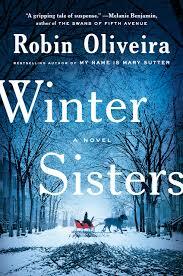 Do you enjoy mysteries but want to listen to an audiobook? How about finding that new book your classmate was reading? 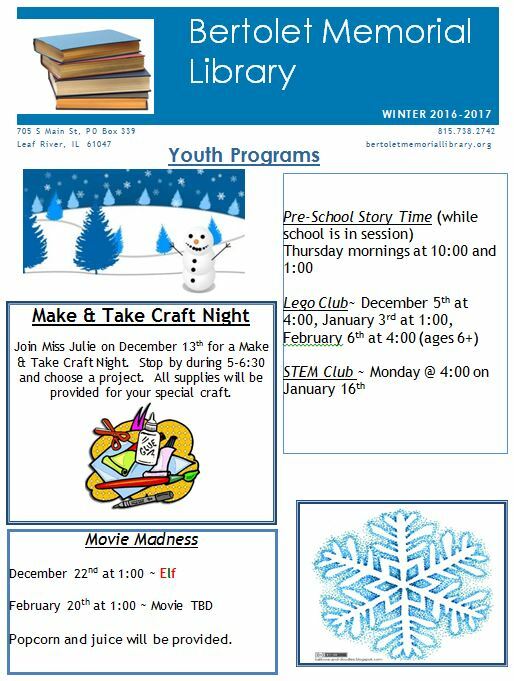 Check out the online PrairieCat Kids’ Library! Easy to use: enter a keyword, title, or author or browse through books in music, history, or outdoor activities. There are many subjects to choose from. Find a book or CD you like? Let your librarian know or reserve it through Encore. Easy Peasy! In honor of the passing of Richard Wood, the Bertolet Memorial Library will be closed on Saturday, April 30th so the staff can attend his services. 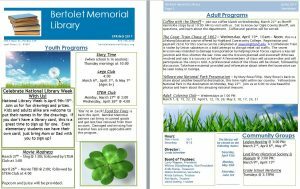 Richard Wood, long-time board member of the Bertolet Memorial Library, passed away on Tuesday, April 26, 2016. 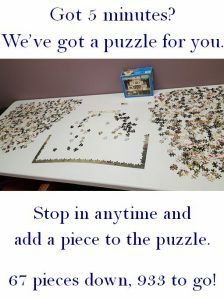 Richard was involved in many groups, boards, and hobbies. 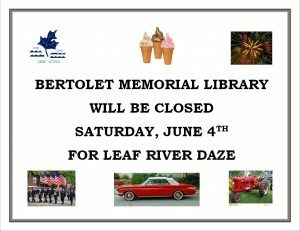 In addition to serving the Bertolet Memorial Library as Trustee and Financial Secretary for over 20 years, Richard also was a member of the Leaf River Historical Society and chairman to the Ogle-Lee Retired teachers. He also enjoyed being a private pilot and using Ham radios. Services for Richard will be held on Saturday, April 30th at Finch Funeral Home in Mt. Morris. Visitation will be held at 9:30 AM until the time of the service at 10:00 AM. Burial will be in Lightsville Cemetery. Memorials have been established for the Leaf River Historical Society and the Bertolet Memorial Library. It’s time again for Family Movie Night. 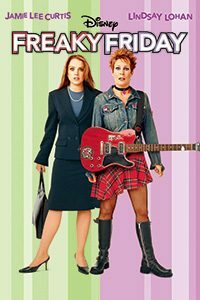 On Monday, May 2nd, we will be showing the family classic: Freaky Friday, starring Jamie Lee Curtis and Lindsay Lohan. As both mother and daughter get on the other’s nerves, they wake up to discover that they have somehow switched bodies. Unable to switch back, they are forced to masquerade as one another until a solution can be found. In the process, they develop a new sense of respect and understanding for one another. “Star Wars: The Force Awakens” has been released to DVD, and we have a copy at the Bertolet Memorial Library! 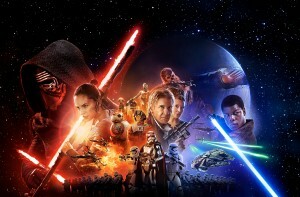 Join us for a special Tuesday edition of Family Movie Night on April 5th at 6 PM to watch the latest and greatest episode in the Star Wars saga. Drinks and popcorn will be available. This is a PG-13 movie. 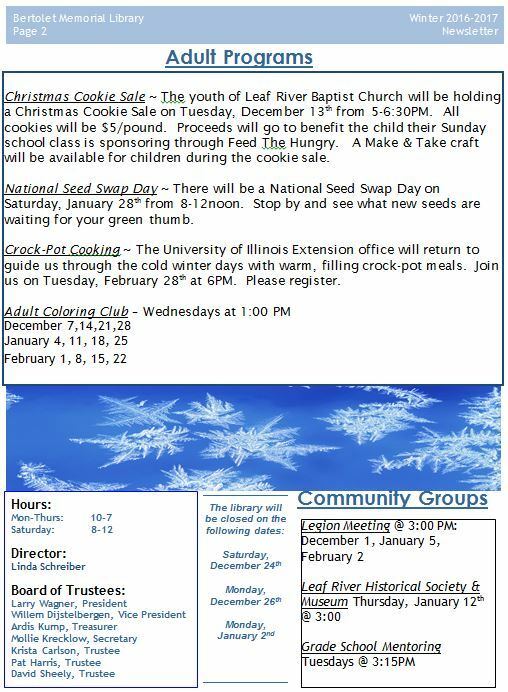 Need something for the kids to do over Spring Break? 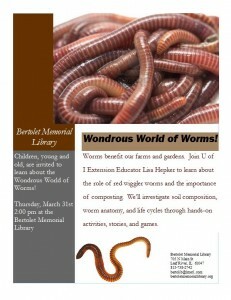 Bring them on over to the library to learn about worms. These squiggly, squirmy red wiggler worms are very important to help things grow. Find out how on Thursday March 31st at 2PM! 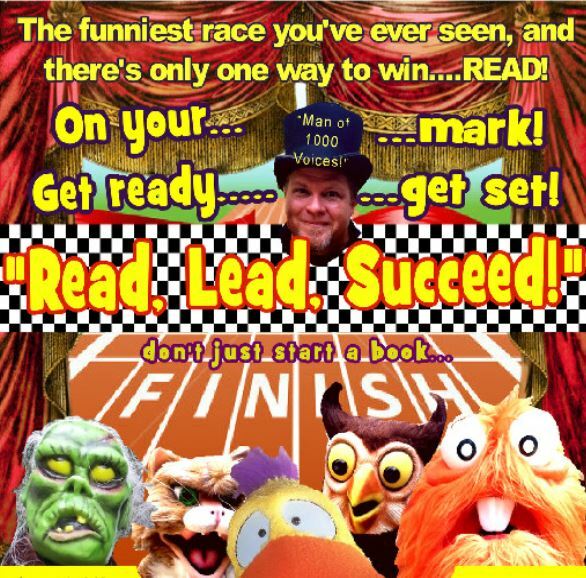 Join us for Family Movie Night on Monday March 7th at 6 p.m. February’s over and that means it’s time for March Madness! This month’s family movie is loosely based on a true story about a down and out basketball coach who leads a small town high school to the state championships in Indiana. The film stars Gene Hackman and received two Oscar nominations. It was also ranked #13 on The American Film Institute’s 100 most inspirational sports movies. Popcorn and drinks are provided. 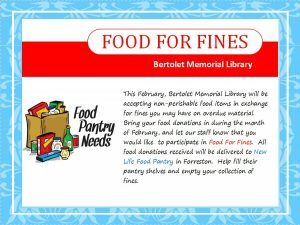 The Bertolet Memorial Library is reducing their video collection. All VHS tapes are available to purchase for just .25 each! Kids, adults, family, and Christmas movies are all included. Stop in today and check out the selection! There is no school today!!! Join us for an afternoon children’s movie at 2 p.m. “Gnomeo & Juliet” will be showing. Popcorn and drinks will be provided. “She’s the Man” (PG-13) will be our feature movie tonight. Channing Tatum and Amanda Bynes star in this comedy based on Shakespeare’s “Twelfth Night.” The movie starts at 6:00. Popcorn and beverages will be served. The Return of Story Hour! 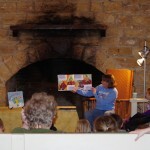 Story Hour returns on Thursday, January 14th at 1p.m. 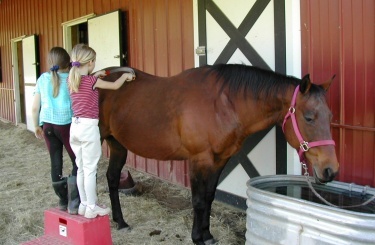 Join Miss Julie as she reads about horses this week. There will also be a craft and snack. 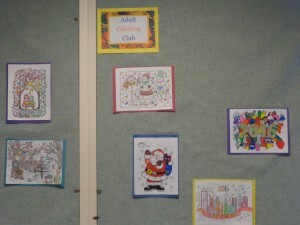 We had four participants at our first Adult Coloring Club; one came all the way from Grand Detour! Join us each Wednesday at 1pm to choose from the weekly selection of pictures and create your own art! 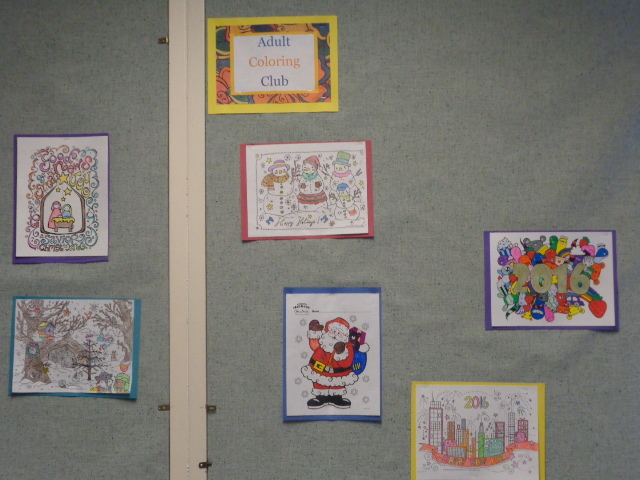 Bring out your inner-child but stay in the lines for the Adult Coloring Club at the Bertolet Memorial Library on Wednesday afternoons at 1pm. Coloring pages will be provided as well as colored pencils, crayons and markers, or bring your own. 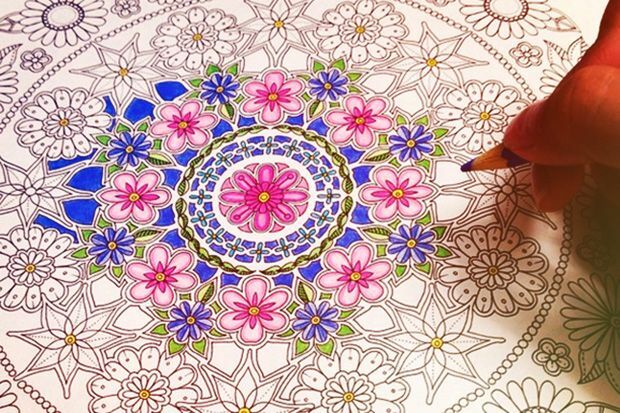 Completed designs will be put on display. A great selection of Christmas postage stamps are now available at the Bertolet Memorial Library. 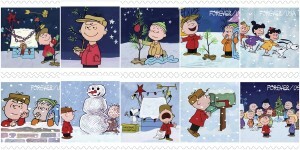 Stop in today to make your selection to personalize your mail. The board and staff at the Bertolet Memorial Library would like to congratulate board member Ardis Kump for the recognition she has received recognition from the Northwest Illinois Sports Hall of Fame for her dedication to the Forrestville Valley Cardinal Basketball program as keeper of the scorebook for the past 25 years! 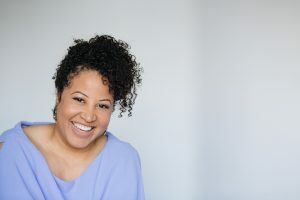 Congratulations Ardis!! !